I’ve been on a cooking spree as of late, which accounts for two — yes, two! — posts this week from me on Culinary Cousins. Plus, Jessica and family were on vacation, so I had to keep the fires burning over there. 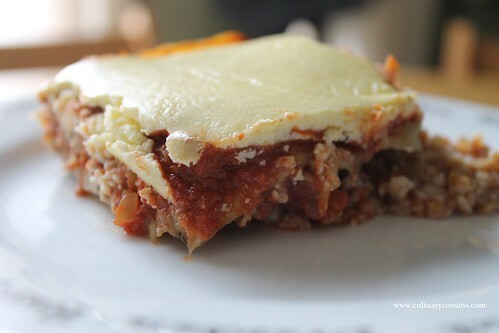 Even though I’ve been cheating on my vegetarianism with beef lately, I found a great recipe for vegetarian moussaka that satisfied my tummy and my insatiable need for Greek food.